Cinderella returned in Korean Version – Digital marketing with Christy! I’m sure some of you have already watched the Cinderella, I have too! But have you watched the Korean version of Cinderella? Don’t worry, I’m not asking you to watch the Korean drama or reality show. Basically it is a campaign launched by the Korea Air Force persuading more young men voluntarily join the army. Korean men aged between 18 and 35 are compulsory to serve in the military for two years. This country currently has the longest military service period in the world. During their mandatory service, they have to be stationed at their post for the majority of time under strict regulations. Due to the fact that couples are not able to meet in two years, many of them eventually separate even before the duties end. Majority of young people unsurprisingly have poor impression with the army force. Such a long period of military service revolted the young people. 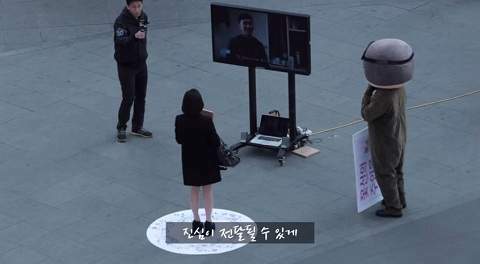 In order to improve the poor impression, the army released the Korean Cinderella campaign. The Cinderella campaign beatified the duty experience. Well used of the recent heat of Cinderella. A friend of mine shared the video on Facebook and “Korean Cinderella” just caught my eyes. It is a great idea because audience like me, would simply assume it was Disney/Cinderella related ad. In fact I did not realize it’s a campaign for recruiting soldiers. ohhh here his girl comes! The guy also made a video saying thankyou for waiting. Next The Yellow Pages came back! It’s quite an interesting ad. Couldn’t relate this romantic act to the army force promotion. I know! In particularly they didn’t make it an official advertisement but uploaded on youtube instead. Those young adults are unlikely visiting the official website as often as social media. By doing this way target audience(the young adults) can be easily reached. 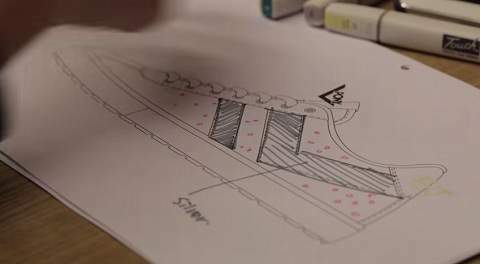 It’s a creative video, but I don’t really think it’s a video for recruiting soldiers, Feels like a romantic love story and promoting the DIY shoes for the half as well as DIY idea. Korea has always been a productive country of romatic films and plays. i like the way their army make this commercial. It let us know the soft side of a soldier instead of always showing the manly side. Bravo!